What is The Best Paint Color for The Nursery? For decades, pastel colors have ruled the nursery and young children’s bedrooms. Parents welcomed baby boys with baby blue tones and baby girls with pink pastel shades. Blue has always been the more masculine of the pastel palette, with pink being denoted as a more “girly” color. Parents-to-be chose yellow for the nursery when they opted out of knowing the gender of their baby in advance of the birth. Thus, the pastel palette, predominantly blue, pink and yellow has dominated nurseries forever it seems. 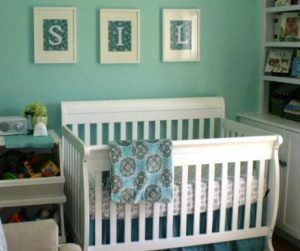 Deciding on what pretty pastel hues to use might be a big issue for some parents-to-be, but still others are researching what color combos are the most soothing or stimulating for their precious bundles of joy. Some child psychologists recommend neutral or pale pastels to create a soothing and restful retreat for little ones, stating that many bright colors tend to over-stimulate and create a sense of confusion in their environment. According to Health First and Enfamil, using colors to stimulate the baby’s environment will help the baby to reach its developmental milestones faster, with an improved nervous system development and a superior attention span, memory and sense of curiosity. But another site, cautions against over-stimulating babies with such vibrant colors as red and orange because they cause over stimulation. Still other sites say to eschew yellow because it is disturbing to babies and will cause them to cry more, while black is, “draining and depressing” (the latter color may be a moot point since most new parents would not have chosen the color black as an option for their newborn’s safe haven). Ask the decorators about the trends for the nursery as to paint colors and you’ll find that there are basically two factions. While many agree that the trend is back to pastels once again, there are some decorators who favor the trend for gender neutral room colors. The pastels-for- babies-room trend has been longstanding, and today’s baby room pastels are now a more updated and sophisticated version of the traditional colors we are so familiar with. There is now a blend to complement modern furnishings, but petal pink and soft blue hues, will now be accompanied by subdued shades of pastels, the likes of aqua, lilac, periwinkle and pale green. If you need help choosing the best paint color for the nursery you may want to contact an interior painter in Brooklyn. 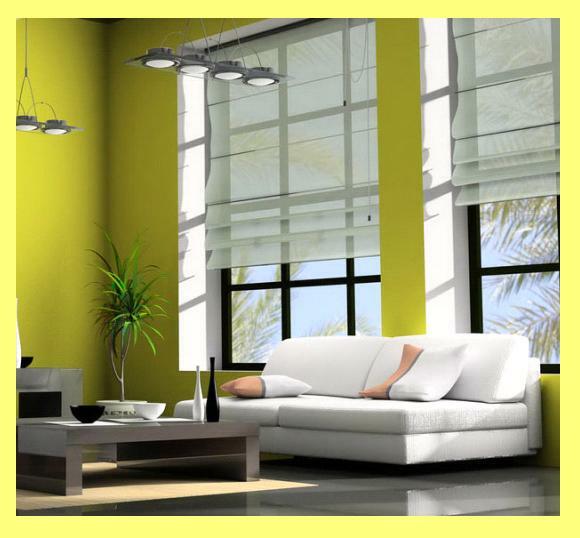 A top Brooklyn house painter will be able to go over all of the best options and help you choose. The decorators who are non-color or gender-neutral enthusiasts take a different view. It is not that they look at the pastel trend in disdain, they merely only want to offer other options, especially for those who wish to keep the gender of their baby a secret until the big delivery room event. Thus, the trend to gender-neutral colors for the nursery does not mean just straying to eggshell, but embracing cool neutrals, like white and grey, which will give a room a contemporary appeal, especially when paired with bright and trendy accent colors like turquoise or coral. Combining one focal wall with a wallpaper that incorporates the trendy accent colors will really lend an interesting look to your little one’s room (whether they appreciate it or not). If you are ambivalent about putting too much bright accent color in the nursery, a good color combo would be dove gray and white with buttercup yellow as the accent color – even this paler version of an accent color will still cause the room to pop without resorting to bright and vibrant color tones. The color aqua, even though it is mentioned as a potential pastel color option, is useful as a neutral color, as it is considered very soothing. 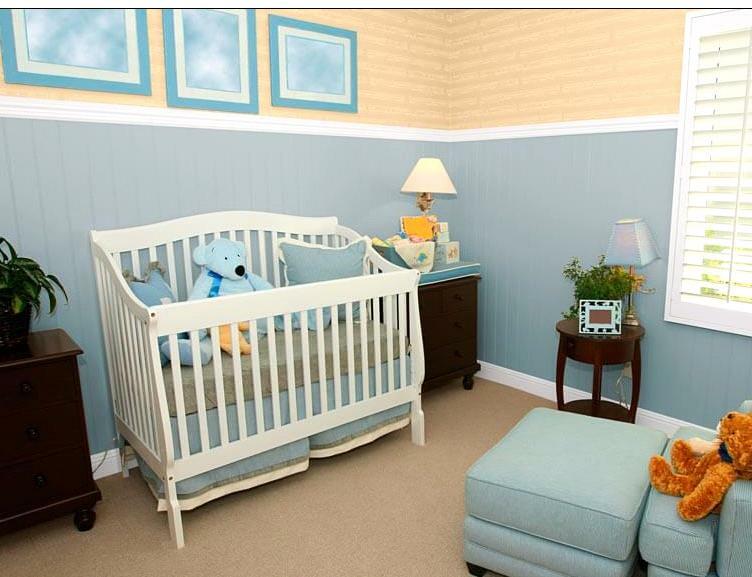 Pairing aqua with sunny yellow accents incorporates the best of all color tones for the nursery. If you are interested in gender-neutral wall colors, you might be surprised to find that mint green is considered a trendy and even edgy color for baby’s rooms. Mint green has been paired up with several colors, and, if you would be comfortable straying a little off the beaten path and using a darker accent color, one of the trends in 2016 for the gender-neutral baby’s room is touted as “sweet and preppy and edgy” on the traditional blue and green palette. That color combo is navy and mint green. It’s different and it will grow on you. If you want to kick it up a notch, and stay with the gender-neutral color tones, why not try the color pairing of cool mint and orange? This almost sounds good enough to eat, doesn’t it? Tone it down a little by using mint green and turquoise – the mint green is oh so soothing, as is the turquoise, and is the perfect touch if you want neutral, but are reluctant to stray too far into the unknown. Finally, once, you’ve narrowed down the color of paint for the baby’s room, did you know if you are concerned about fumes that you can ask for the paint to be color-matched in a zero-VOC formula? It’s fun to plan for the big event, and if you’ve got a million details to attend to, why not consider choosing the professional services of a top interior painter in Brooklyn, New York, to get it done well in advance of the baby’s arrival?